You're all here because you want to be pilots. More than that, each of you has expressed interest in earning a promotion to squadron leader. Well, the good news is that we recognize your potential. We think you've got a real shot of flying with the best. The bad news? There's not really any bad news at this time, but the truth is that you don't just become an ace after one or two lessons. 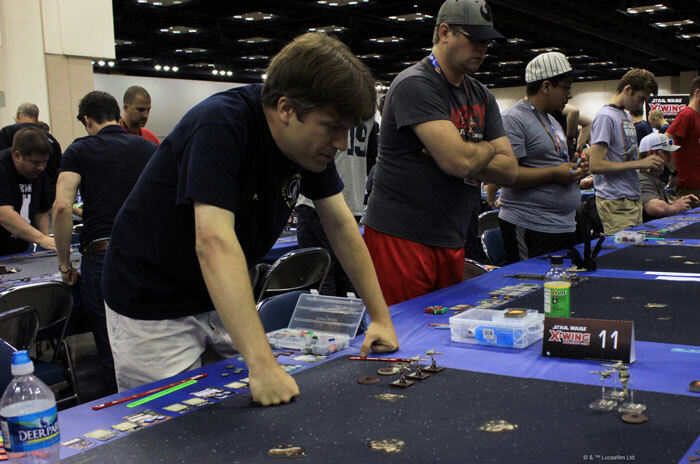 There's a lot of skill—and practice—separating the new recruits from the aces you'll find at top events like the X-Wing World Championships and the 2018 Coruscant Invitational. But you can make it there. We've seen it time and again that raw recruits apply themselves in the academy and then find themselves battling for the fate of the galaxy against ace pilots like Darth Vader , Han Solo , and the Grand Inquisitor . So how can you get there? Well, we started you on your journey last week with an introduction to the different types of ships you might fly. After all, it doesn't matter how great a pilot you are, you'll never transform a HWK-290 into an A-wing. The ships aren't really comparable. They're built for different roles, and if you want to fly either one successfully, you need to use it appropriately. 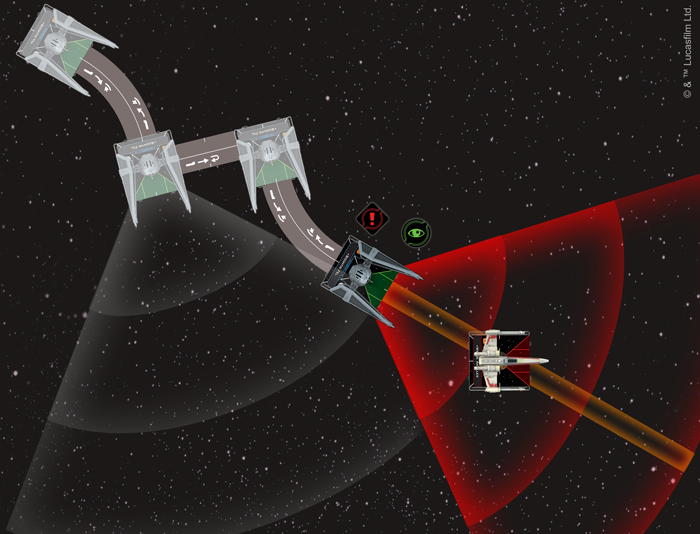 That said, you can still learn to push your ships harder, to get more from them, and to fly them more effectively. And after you learn how to get more from each ship individually, you can look for ways that your whole squadron can fly more effectively. So where do you start? For that answer, we turn to one of the most successful aces ever, three-time World Champion Paul Heaver! When you want to build a squad, there are many questions to ask. The first is: what do you want the squad to do? 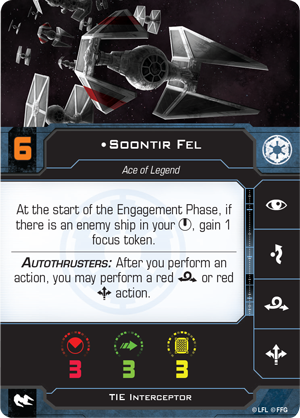 For example, you might be looking to test out some new ships that just came out, you might want to experiment with an idea for a thematic list, or you might just want to win a tournament. After answering that first question, more questions will arise. 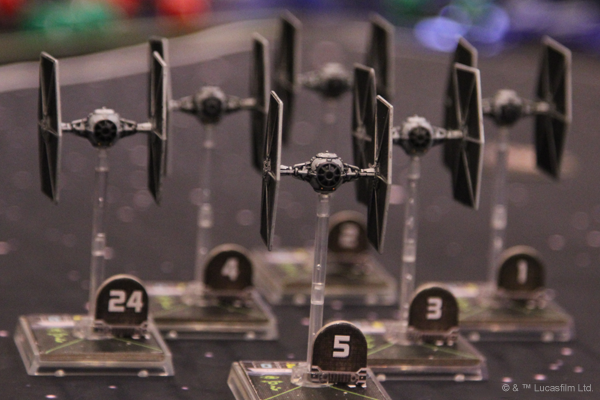 For this article, we’re assuming you want to build a competitive list to bring to an event. Whether this is a small league night tourney, the 2018 Coruscant Invitational, or the World Championship—the process always involves similar lines of thought. The next step is to figure out what kind of list you’ll be running. These come in two main styles. The first option for your list uses all, or almost all, of the same type of ship. 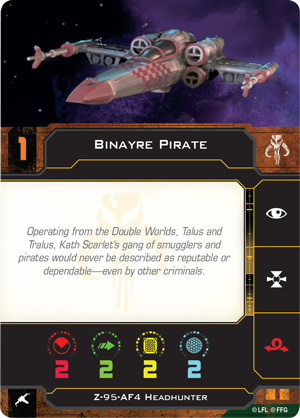 Seven TIE/ln fighters, six Binayre Pirates , and five X-wings are all examples of this kind of list. 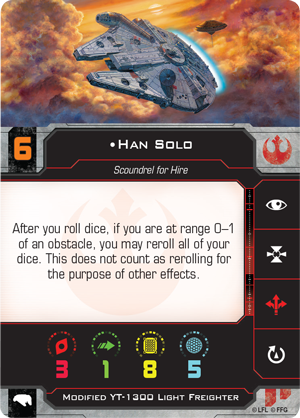 These lists don’t have “closers,” ships that are stronger in the late game with fewer ships on the board. Instead, they concentrate on overrunning their opponent with their early game strengths. If your opponent can overcome your advantages, though, you might find yourself falling apart in the endgame. 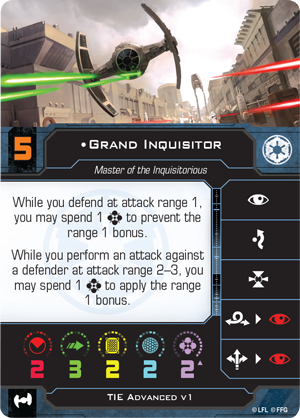 As a result, these lists try to take out opposing endgame ships quickly to minimize their impact. The next style of list uses different ships, carefully selected to cover for each other’s weaknesses. Usually, these lists will designate one ship as a “closer” that they prefer to have as the last ship standing against whatever the opposing list has left. For example, in first edition, there was a once-popular list consisting of Manaroo, Asajj Ventress, and Fenn Rau. These were, respectively, a support turret ship, a durable "tank" that could provide stress control, and a heavy hitting arc dodger. 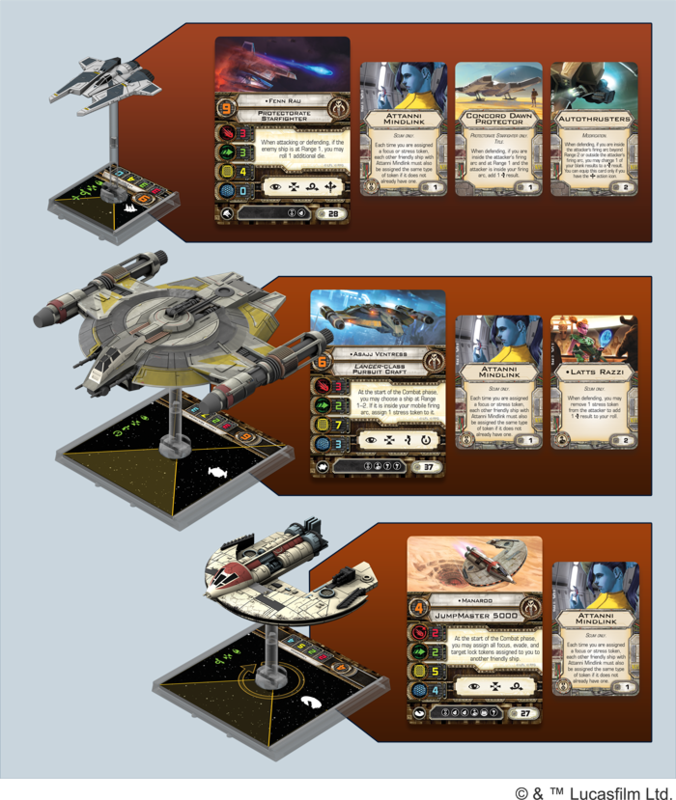 All three ships fulfilled different roles, and they made it hard for your opponent to attack one ship’s weak point without getting crushed by the other two ships in the list. Additionally, Asajj and Fenn were both great at being endgame ships. The math and the ships changed slightly in the later waves and with the introduction of second edition, but the principles have remained the same. Balanced squads include some ships that cover for the weaknesses of others—helping to ensure your endgame ships don’t get destroyed in the first few rounds of combat. Both styles of list can do well in competition, so there’s no right answer. One type of list tries to magnify the strengths of the individual ships to overwhelm, while the other tries to minimize the weaknesses of the individual ships. When building a list, you need to find a balance of increasing the strength of the list versus decreasing the weak points. Similarly, you can take the same view while picking your upgrades. Do you want to magnify the strengths of your ship and squad or minimize weaknesses? 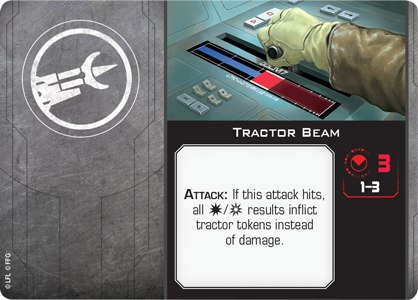 An example of magnification would be running effects that assign tractor tokens in a list that packs a large alpha strike, such as a missile salvo. You were already hoping to deal a lot of damage in the beginning of the fight, and assigning a tractor beam token to a ship before you launch your missiles means your missiles will hit more often, and you’ll be doing even more damage. However, the addition of the Tractor Beam or similar effect doesn’t counter any weaknesses of a large alpha strike list—such as the opposing ships dodging your missile arc. 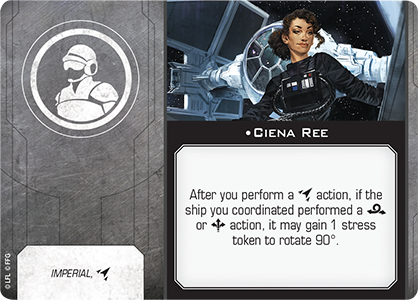 If you wanted to minimize that weakness, you could put in an upgrade to counter their movement, such as Ciena Ree . 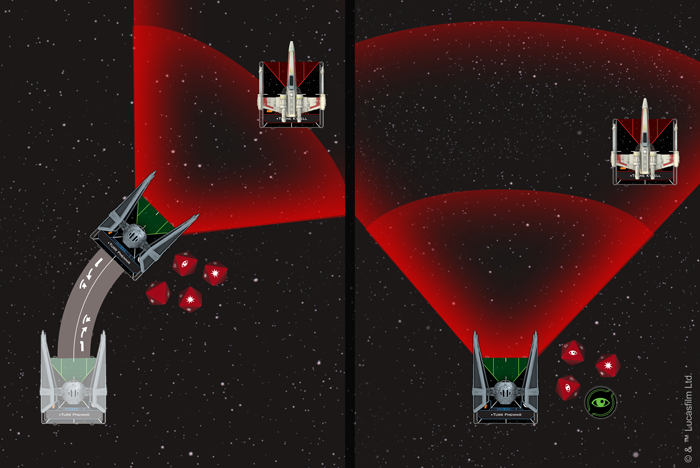 Serissu uses a Tractor Beam to pull the X-wing closer, allowing all of the Black Sun Soldiers to target it with their missiles. Speaking of upgrades, they are generally the best way to improve your action economy. Action economy is your ability to get extra actions, above and beyond the one your ship is naturally allowed. 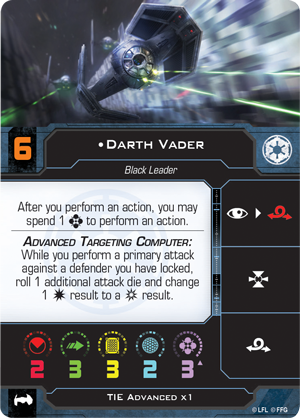 Very few pilots innately have extra actions, such as Darth Vader, who can gain extra actions by spending Force tokens. 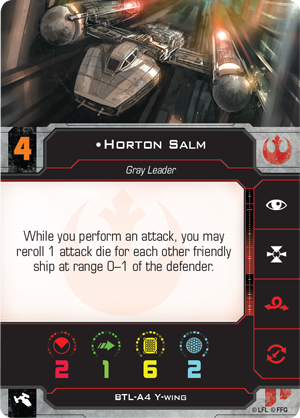 A slightly larger group of pilots grant bonus rerolls or tokens, like "Howlrunner," Horton Salm , and Garven Dreis —provided you meet their requirements. However, the largest source of action economy is upgrades. 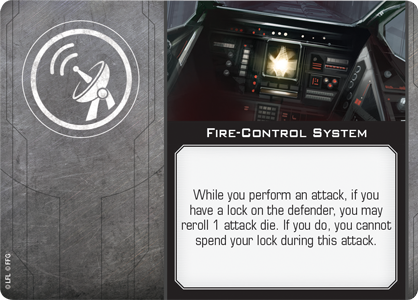 Upgrades like Lone Wolf , Predator , and Fire-Control System can boost the action economy of any pilot with the matching upgrade slot, and when you're building a list, inserting these upgrades is almost always a reasonable choice. What Is an Action Worth? An action to modify dice is often worth more than an extra die, which explains why extra free actions are so good. Rolling four attack dice without any modifiers results is an average of two damage. Now compare that to rolling three attack dice with a focus, which yields an average of 2.25 damage. When you have two actions to modify your dice with a reroll and a focus, then you only have a 1 in 16 chance of missing on an attack die! 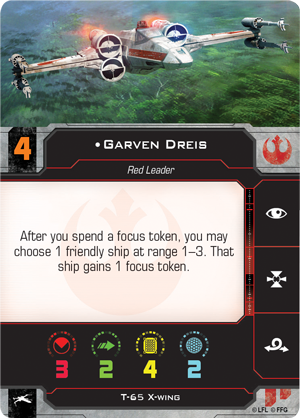 A focus token is usually a better addition to your three-die attack than a fourth die. Even if you can't pair both tokens for a full reroll and focus, the upgrades we mentioned earlier significantly reduce your odds of getting stuck with blank dice. So getting those extra rerolls and actions is important for consistent good rolls and avoiding bad luck. Action economy comes with a cost, however. First of all, the action economy upgrades cost squad points and upgrade slots. Then, they usually have some limitation on their use. 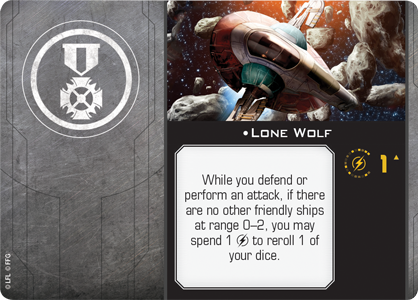 Lone Wolf only works if you can position yourself farther than Range 2 from all friendly ships, Predator requires you to catch your target in your bullseye arc, and Fire-Control System requires you to acquire a target lock—and then not spend it. So, how do you use the action economy cards? You want to minimize the limitations. 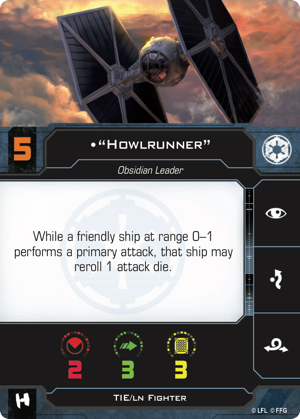 You put Lone Wolf on a ship that flies well alone, and in a list that doesn't expect to fly in formation. The TIE Advanced x1, Millennium Falcon, and Outrider are all strong flankers that could benefit from this upgrade. 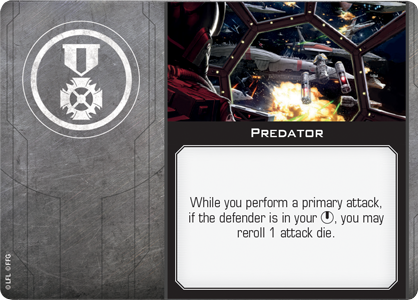 Similarly, Predator goes best with high-initiative pilots like Soontir Fel , who can line up their shots with repositional actions. When you are creating your squad, make sure to think about how to work around the limitations that your upgrades bring. The final thing to do when building a squad is to steal the best and most popular squad lists and try them out! X-Wing has a very active online scene, composed of people who track all kinds of useful data and lists. There are streams and recorded video of many popular lists. Picking up a list someone else created will give you a good idea how it flies and why it is so good. If you like a list, you can stick with it. Even if you don't feel a list fits your style, flying it will help you if you have to fly against it in the future, as you will be better at guessing your opponent’s movement and target priority. Another benefit of exploring other people's lists is that you might see a few tricks that you can take back into your own lists. 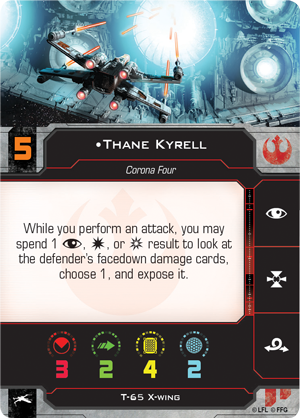 For example, you might see a lot of people making use of Thane Kyrell's X-wing , so try it out in a list. Maybe you decide to change a few upgrades and build a different list around the new ship you have assembled for Thane. You might even surprise your opponents with the changes you made. It’s never bad to get flight time with popular lists. You can learn a lot from them!